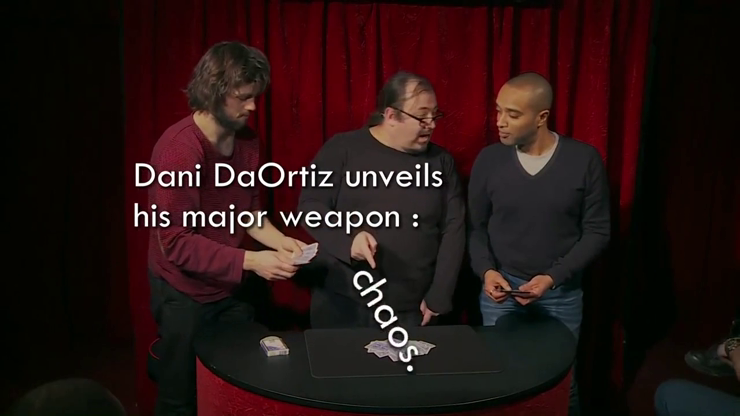 The greatest genius in this day and age concerning card magic, and a big star of Spanish magic, Dani DaOrtiz reveals to you tricks, principles and techniques which he had still never published. His magic has a formidable efficiency and a rare intelligence. It is devilishly innovative and reveals a big personality; he is a tremendous artist. He was proudly welcomed in Paris, France for an exclusive shooting. With only a deck of cards, he has brought his audience to seventh heaven! It is now your turn to enjoy this absolutely unmissable magician. This product was added to our catalog on Monday 28 December, 2015.